I want to tell you why SEO (search engine optimization) is still important to your business, and how ongoing SEO efforts will benefit you and your business website for many years to come. Search engines like Google and Bing are an ever evolving database of website listings that people use everyday to find business products and services. No one uses yellow pages or phone books anymore and getting listed correctly takes time, resources and skill. There are a lot of places from which your website could be getting traffic. If you are not listed in every possible category that relates to your business, you are missing out on valuable revenue. Your competition will be in those listings and they did not get there by accident or happenstance. Many of these reasons are perfect opportunities for you to get traffic and customers. These searchers are highly motived people you can bring to your website to learn from you, and potentially buy something. This is especially true if you target the right keywords. It all begins with keywords. These are the words we all type in when we begin our search. 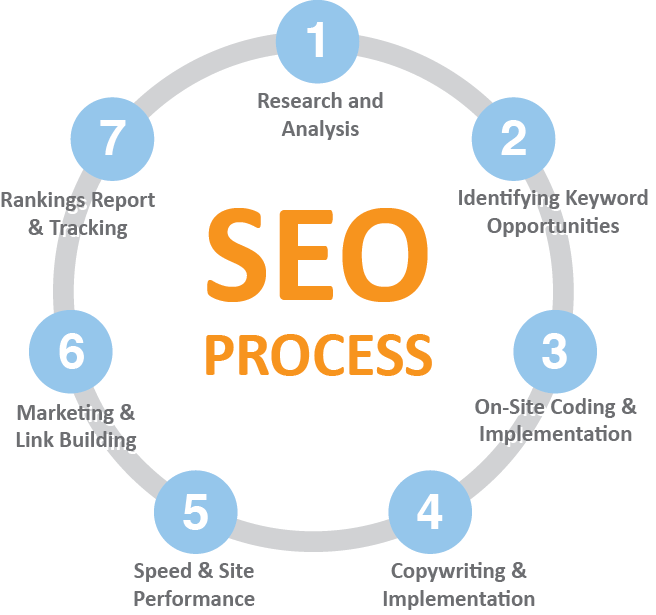 A successful SEO campaign involves keyword research. Washington Graphic Services (WGS) analyzes your business, and your potential customers, and we come up with the right keywords for your website. Among other tools and software for analyzing your site, WGS can use Google Analytics, Google Search Console, upload a Sitemap for your site, and make sure your HTML is valid and contains the correct markup to make sure search engines are getting complete and correct information from your site. WGS incorporates these techniques, research, software and programming efforts to maximize your exposure, and to effectively function with search engine algorithms. WGS will create quality content on your site because "content is king." Content matters because the keywords must match the content. The content must be quality content not just any content. From an SEO perspective quality is important because Google and other search engines are measuring it.